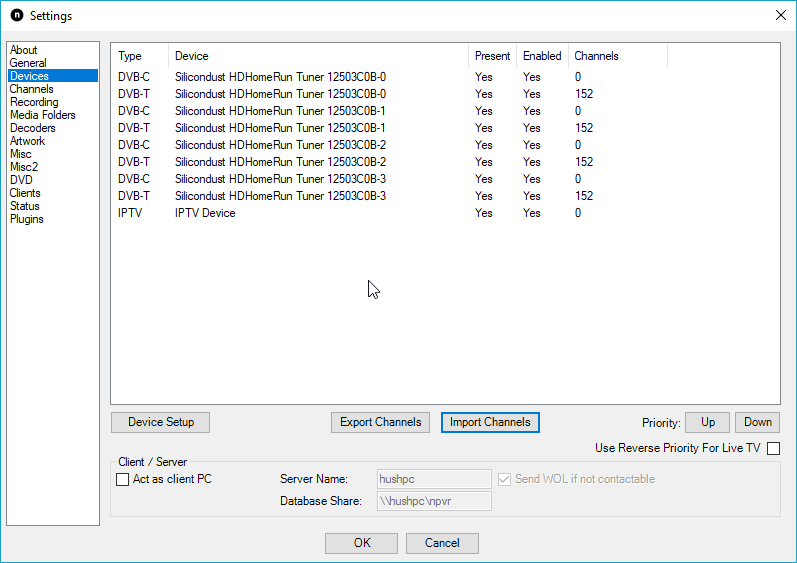 First thing to do is to install the software do this by going here and downloading https://www.nextpvr.com/ then install the version of your choice. 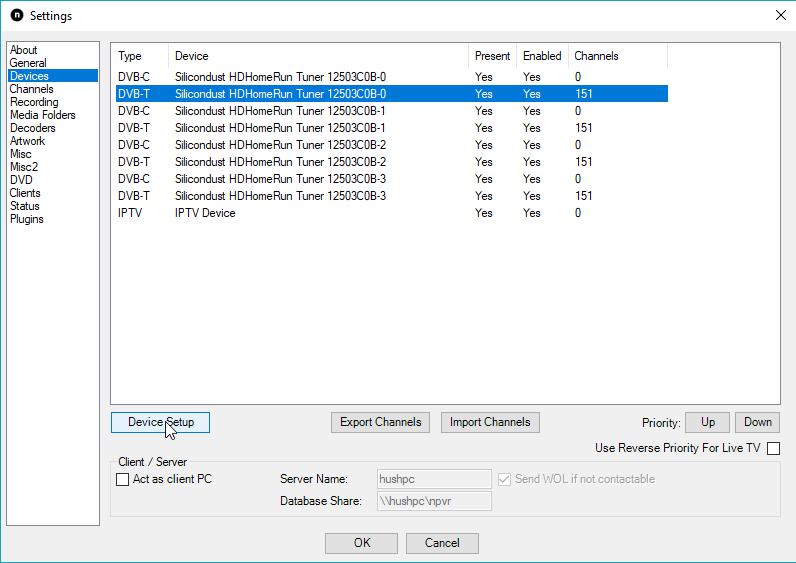 Once the settings come up go to devices and the DVB-T hdhomerun tuner like so mine has channels yours should not if you’re doing this for first time. Then click device setup in here you should select your country and region then press scan to go through the process of finding channels. 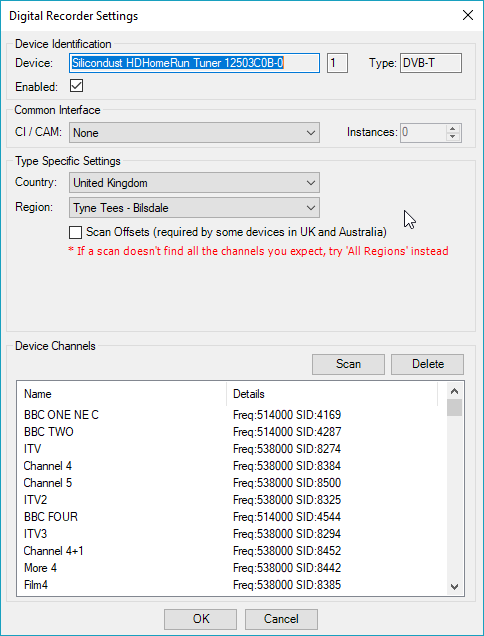 It should look similar to this with channels scanned if you don’t find any try a different region. Now you have them scanned press ok and it should ask you to epg update press yes and wait for it to finish. 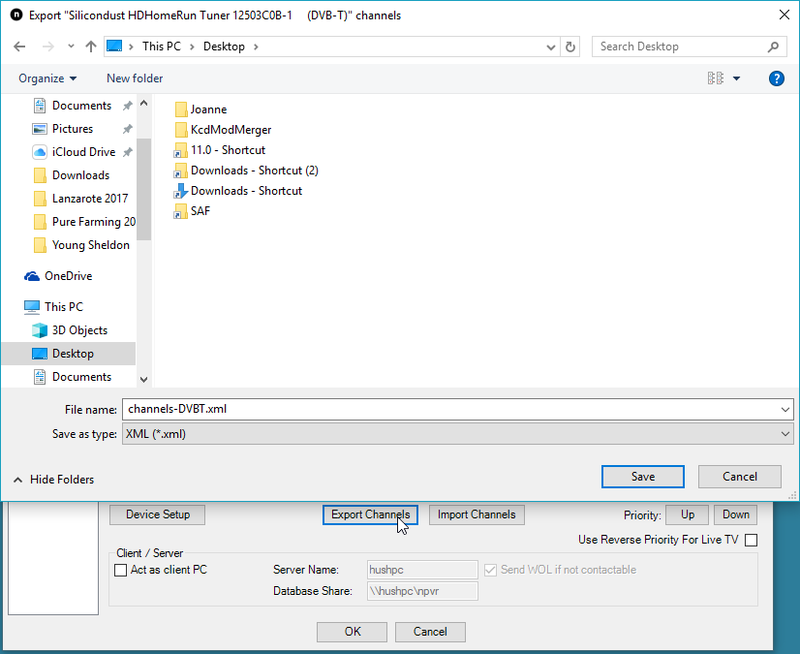 Now you can export then import the channels you have scanned on tuner 0 to the other 3 tuners or you maybe asked to automatically copy them both ways are the same I will do the export and import as mine is not automatically moving across when clicking the next tuner. 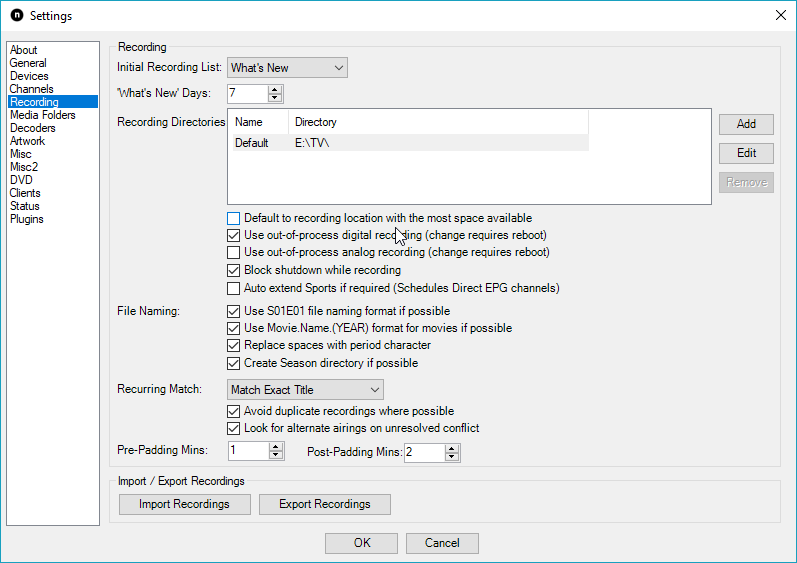 You can now go to the recording setting in here you can set where you want your recordings to save mine is E:\TV\ set your to where you want the recordings. 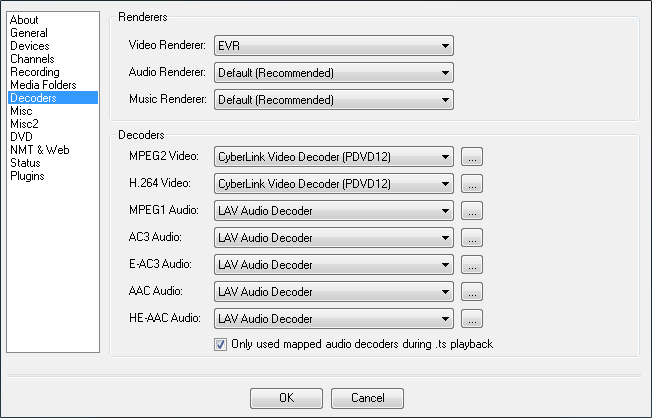 Setting decoders is probably the worst bit as you may have suitable decoders already but I use saf decoders and recommend you do https://forums.nextpvr.com/showthread.php?50227-Saf6 you will need to download the unlock install that first and then the codec pack and it works very well. Some other good decoders are ac3filter and ffdshow I have had success with both when you have problems with sound and video try them till you find ones that work for you. 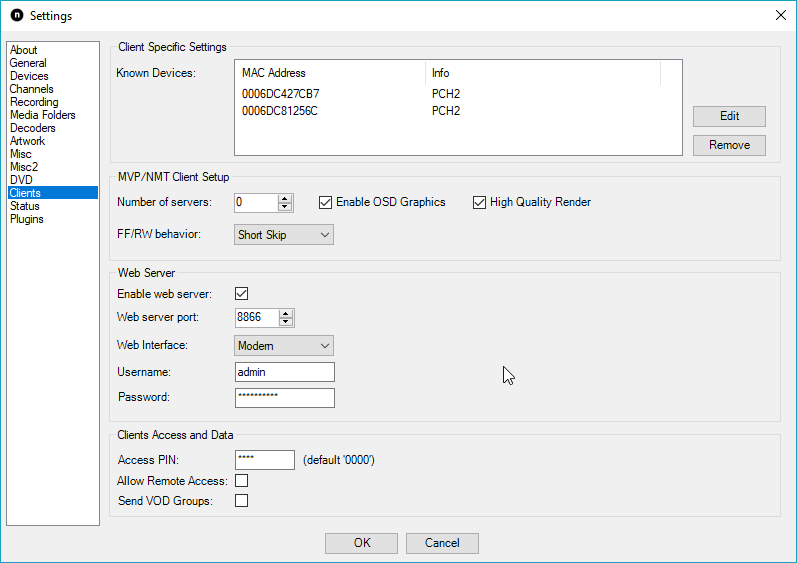 Once done you will need to go to clients in here enable your web server give it a username and password. Then press ok and go to your browser and insert your computers local ip with port you set fo example mine is http://192.168.1.79:8866/ this will bring up the web interface. 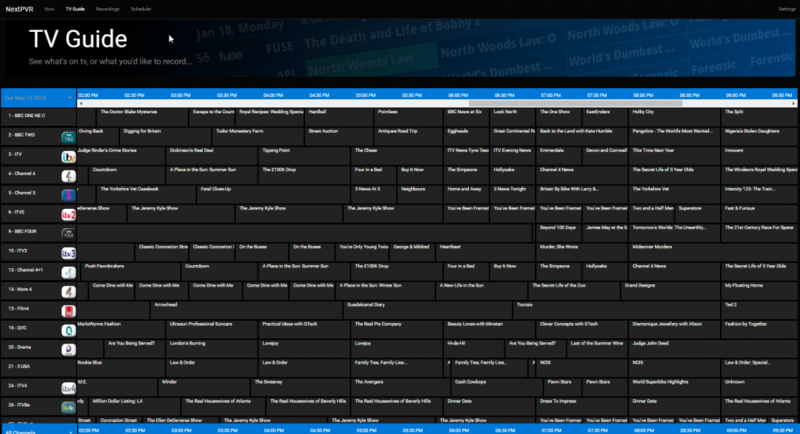 From here you can record your favorite programs and see what’s upcoming. 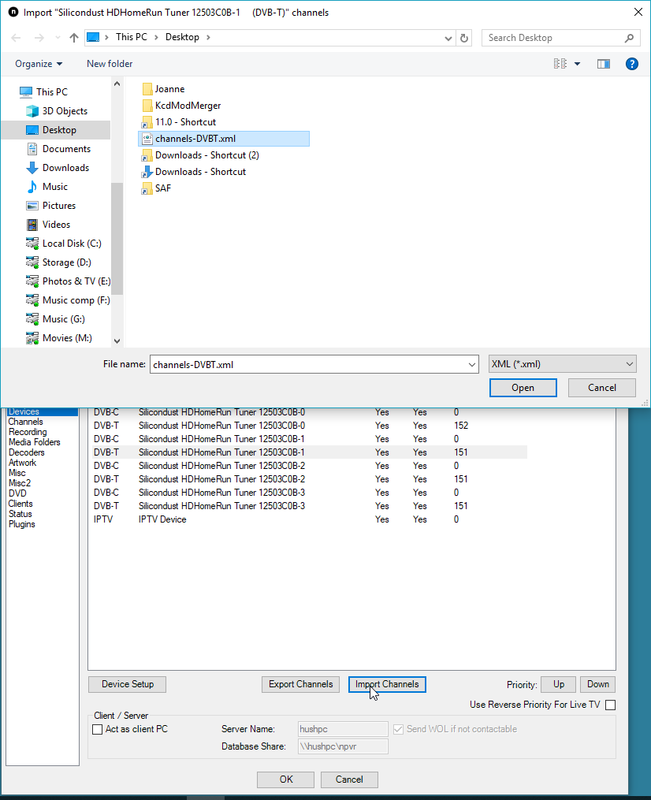 To record just click what you want and press record once or series. 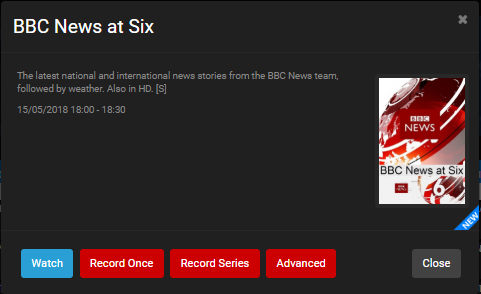 You can also watch live tv with the inbuilt web app or the desktop app which is better for obvious reasons as well as record and search for programs by right clicking the and start next npvr if you have no picture or sound this will more than likely be down to your decoders. 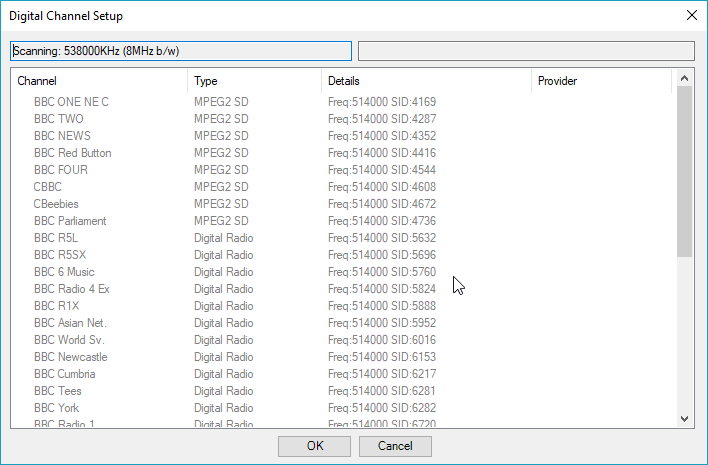 If like me you use plex to watch your shows you can try this handy little addon that will help the naming of shows show in your plex library “plex plugin download” it works really well if not you may have to rename them by hand. Hopefully your up and running and enjoying your recordings!